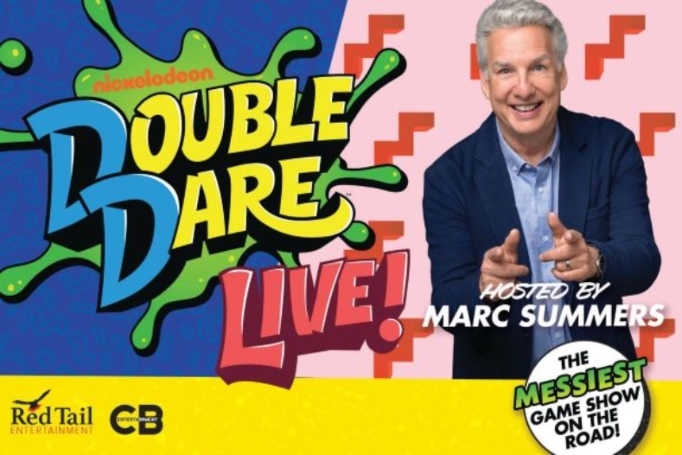 The DD VIP Experience features premium show seating, a pre-show meet & greet photo opportunity with Marc Summer and Robin Russo on the Double Dare Live stage, and an official Double Dare Live tour laminate souvenir. The DD VIP Experience purchasers should plan to arrive at the event center approximately 90 minutes in advance of the show start time. Go to the check-in table and pick up the DD VIP packet. Each adult and child in a group must have a DD VIP Ticket. Patrons will be directed to the meet & greet which ends 30 minutes prior to show start time. Latecomers risk missing the opportunity. Don’t forget your camera – you’ll want to capture your Double Dare Live experience!